This is Gladys’s story, one of four stories from The Sugar Girls. During the Blitz and the years of rationing, the Sugar Girls kept Britain sweet. The work was back-breakingly hard, but the Tate & Lyle factory was more than just a workplace - it was a community, a calling, a place of love and support and an uproarious, tribal part of East London. ‘Gladys changed into her new uniform. The dungarees hung loosely on her boyish frame, the crotch resting somewhere down by her knees and the backside looking like a crumpled sack waiting to be filled with potatoes. The short-sleeved blouse seemed to have been designed with a buxom matron in mind, and one with arms as thick as her legs, not a skinny, flat-chested 14-year-old. What kind of monstrous creatures worked in this Blue Room?’ In the years leading up to and after the Second World War thousands of women left school at fourteen to work in the bustling factories of London’s East End. Despite long hours, hard and often hazardous work, factory life afforded exciting opportunities for independence, friendship and romance. 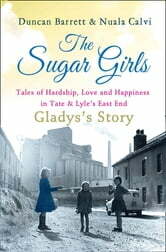 Of all the factories that lined the docks, it was at Tate & Lyle’s where you could earn the most generous wages and enjoy the best social life, and it was here where The Sugar Girls worked. This is an evocative, moving story of hunger, hardship and happiness, providing a moving insight into a lost way of life, as well as a timeless testament to the experience of being young and female. 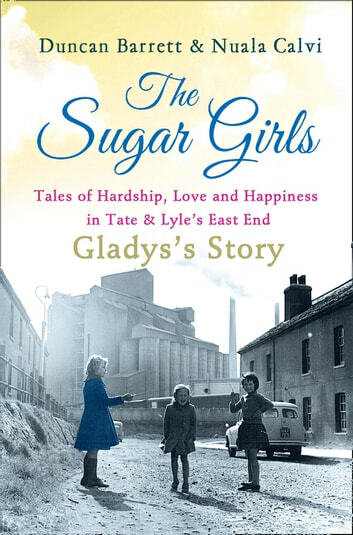 Includes Gladys’s own personal photographs of life as a sugar girl.